In the market for a camping trailer that promises you an enjoyable time on the road, without feeling like you’re hauling around a house? 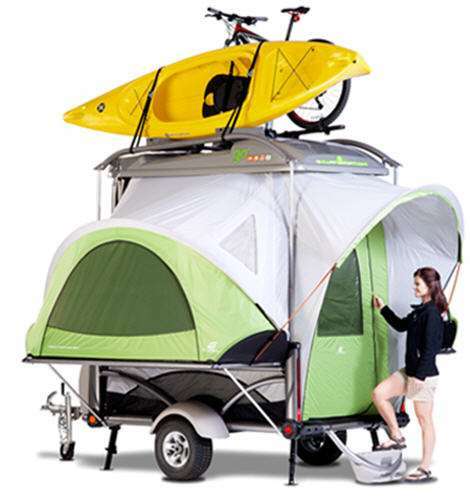 Those who want flexibility and versatility love the 2019 SylvanSport Go camping trailer. This RV has been called the Swiss Army knife of RVs and it’s no wonder why. Whether you’re headed to the woods for a grand hiking adventure or hitting the beach to do some ocean kayaking, you will undoubtedly love the time spent in this RV. 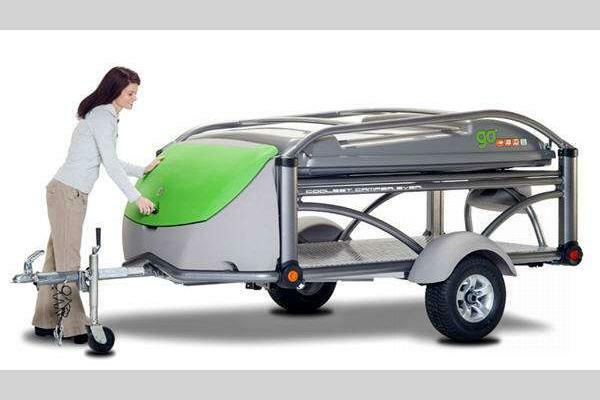 The SylvanSport Go camping trailer features a hyper-engineered frame that is all aluminum and fully tig-welded. It was designed for maximum fuel efficiency and offers torsion suspension for smooth load control. At a low weight of 840 pounds you have a large selection of vehicles that can tow this. Additionally, 13″ of ground clearance and high flotation tires make this perfect for off-road use. At the top of the unit there is a waterproof camping pod where you can store your camping gear and the built in rack system allows you to use your Thule, Yakima, and any other major brand in conjunction with it. Perhaps the greatest feature of this RV is the fact that it offers insulated bed platforms and a waterproof tent system, so even in the strongest storm you can get a great night’s rest. In addition to great ventilation, this RV comes with four custom self-inflating air mattresses and the opportunity to arrange your interior in a variety of ways (including a king and half sized bed). The large rear awning makes relaxing outside comfortable, and the zipped screen and entry door keeps bugs out while allowing fresh air in. 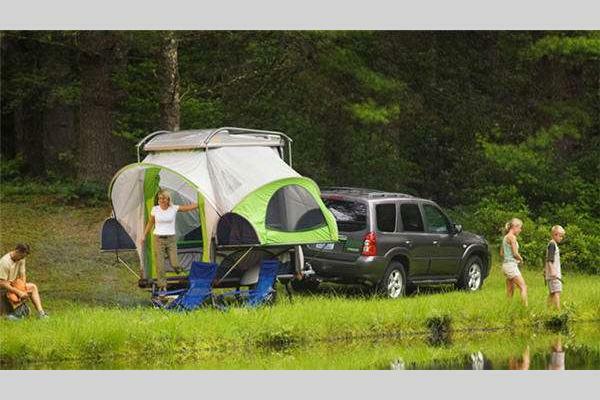 If you’re interested in learning more about our selection fo SylvanSport Go camping trailers for sale, contact us. We can answer any questions you have, help with RV financing, and ensure you have the information needed to make the best decision for your needs.